and horse trails that make up Dove Creek give way to rows and rows of Christmas trees. I arrived at the farm just before sunset a couple of days after the first snow of 2011. The ground was white, healing the trees green, and two golden retrievers barked my car up the driveway past a large, modern barn to a parking area. The whole scene looked like a station stop for the Polar Express en route to the North Pole. And when I opened my car door, I couldn’t help but think there was a little bit of Christmas wonder in the cold air. Doveside Christmas Tree Farm is open weekends from 10am to dusk. For more information call 250-703-2047. Doveside Christmas Tree Farm is one of those surprises—a family-owned and locally operated cut-your-own-Christmas tree business on Todd Road in Dove Creek. You know you’ve arrived when the pasture, rx woods, and horse trails that make up Dove Creek give way to rows and rows of Christmas trees. 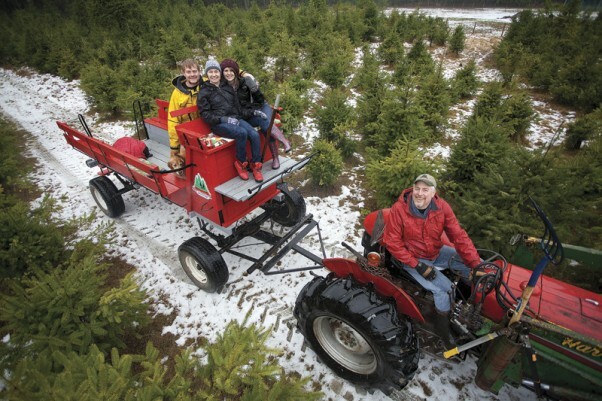 Doveside Christmas Tree Farm is one of those surprises—a family-owned and locally operated cut-your-own-Christmas tree business on Todd Road in Dove Creek. You know you’ve arrived when the pasture, ampoule order woods, and horse trails that make up Dove Creek give way to rows and rows of Christmas trees. 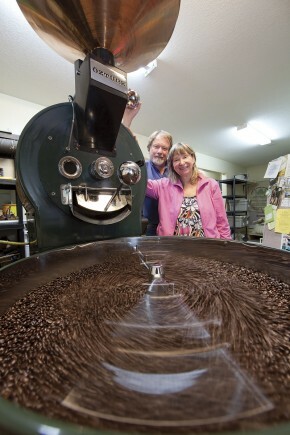 The Royston Roasting Company is huge in our books (Alano Club of Courtenay) for their generosity and community support. Kudos to both Dyan and Gary for working hard to make a local business successful! Good luck with the new location!